Already Xuan has been so much in her short life. She has endured surgery for her spins bifida and has also had a temporary shunt inserted to drain fluid from her brain. She now needs the temporary shunt replaced with a more permanent one and has she has a history of brain infections she will be fitted with a special antibacterial one. Unfortunately this type of shunt is more expensive, but she deserves to have the best chance available. 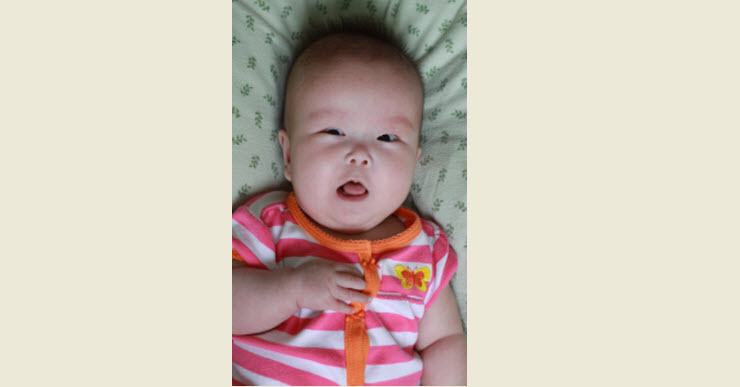 If you would like to help contribute to her 40,000rmb medical costs then please let us know. Perhaps your school / company / organisation could do a fundraiser ? You could donate items to sell in our store, or even donate a little cash. Thank you for doing whatever you can to help. Sept 2013 – We are pleased to announce that money raised at our book fair at the British School of Beijing was used to help Xuan and now she is doing really well. Thank you to everyone who made this possible.